Today’s additions to this post have been added in red text. The Rule is organized in much the same way as the Guidelines. They do not mirror each other, however. These are just highlights of the actual rule, not the 300+ pages addressing all of the comments, which look to be incredibly useful. The final rule no longer uses the nomenclature of the exception, and instead focuses on the substance, rather than the label, of the exception. Thus, the final rule imposes a mandatory prohibition on consideration of certain listed factors, because they are not relevant to the inquiry of whether the statute applies. If a child-custody proceeding concerns a child who meets the statutory definition of “Indian child,” then the court may not determine that ICW A does not apply to the case based on factors such as the participation of the parents or the Indian child in Tribal cultural, social, religious, or political activities, the relationship between the Indian child and his or her Indian parents, whether the parent ever had custody of the child, or the Indian child’s blood quantum. The definitions of continued custody, custody, and domicile are extensive and helpful, includes tribal custom and tribal law, makes clear that any custody at any time in the past counts as “continued custody” and makes the child’s domicile dependent on the custodial parent, not just mother. 23.2. The active efforts definition is marginally different than the one in the Guidelines. It does not specifically state they are more or different than ASFA’s reasonable efforts, but it does say they must be “affirmative, active, thorough, and timely”. The list of elements under what active efforts “may include, for example” are also slightly different, and combine some of the Guideline elements (4 in the regs is 9&5 in the Guidelines; 7 is 10&14). 23.2. Unlike the proposed rule, the final rule does not define “active efforts” in comparison to “reasonable efforts.” After considering public comments on this issue, the Department concluded that referencing “reasonable efforts” would not promote clarity or consistency, as the term “reasonable efforts” is not in ICW A and arises from different laws (e.g., the Adoption Assistance and Child Welfare Act of 1980, as modified by the Adoption and Safe Families Act (ASFA), see 42 U.S.C. 670, et seq., as well as State laws). Such reference is unnecessary because the definition in the final rule focuses on what actions are necessary to constitute active efforts. 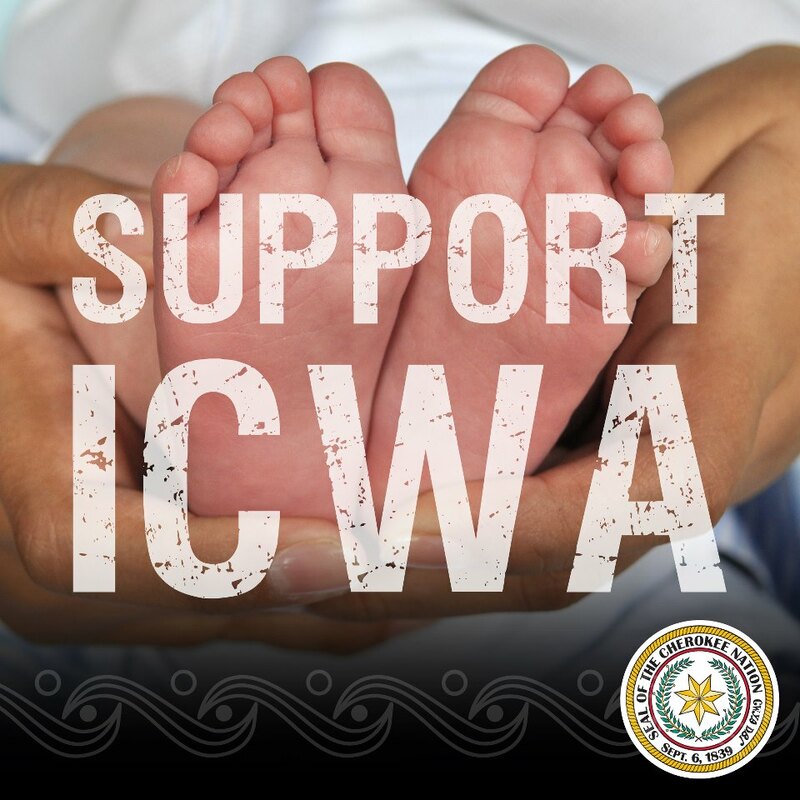 “When Does ICWA Apply?” addresses the issue of “continued custody” thrown into doubt by Adoptive Couple v. Baby Girl. It also specifically states a child’s blood quantum may not be considered by the state court. 23.103(c). State laws that provide higher protections to the rights of the parent control over the regulations. 23.106. State courts must ask each participant in an emergency or voluntary or involuntary child-custody proceeding whether the participant knows or has reason to know the child is an Indian child. 23.107(a). A parental request for confidentiality in a voluntary proceeding does not relieve the court, agency, or other party from any duty of compliance with ICWA, including the obligation to verify whether the child is an Indian child. 23.107(d). Only tribes can determine if a child is an Indian child under the law, that is a final determination that cannot be substituted by the state, and the state can use tribal enrollment documentation (for example) to make the judicial determination a child is an Indian child. 23.108. A court must determine domicile of the child in any voluntary or involuntary child-custody proceeding. 23.110(a). If a parent or Indian custodian appears in court without an attorney, the court must inform them of their rights under the law, including the right to appointed counsel, the right to request transfer to tribal court, the right to object to transfer, the right to request additional time, and the right to intervene in the child custody proceedings. 23.111(g). 23.113 Emergency removals (or the Oglala Sioux v. Fleming section) addresses all the requirements of emergency removal including length of time (30 days), how to terminate an emergency proceeding (initiate a proceeding subject to the provisions of ICWA, transfer to the tribe, or send the kid home), and the standard of “imminent physical damage or harm to the child”. The regs direct state courts what they cannot consider “good cause” not to transfer a case to tribal court, but do not specify what is good cause not to transfer. States cannot consider advanced stage, prior proceedings where there was no petition to transfer, whether transfer will affect placement, cultural connections, and socioeconomic conditions. 23.118(c). Consent to a voluntary adoption largely mirrors the law, but also includes that when a parent request confidentiality, the execution of consent must still be before a court of competent jurisdiction, but not in open court. 23.125(d). The regs do give good cause reasons to depart from the preferences. They include the request of one or both parents if they attest they have reviewed the placement preferences that comply with the order of preference, the request of the child, the presence of a sibling attachment, the extraordinary physical, mental, or emotional needs of the child, and the unavailability of a suitable placement after the court finds a diligent search was conducted. 23.132(c). Courts should allow participation by telephone, videoconferencing, or other methods. 23.133. If there are certain changes in an adopted Indian child’s status (the voluntary termination by the adoptive parent, or the final decree of adoption was set aside or vacated), the biological parent, prior Indian custodian, and tribe must be noticed. 23.139. Of course, the child remains an Indian child regardless of the adoption, so ICWA should apply to these situations anyway. The state must maintain certain records of every voluntary or involuntary foster care, preadoptive, and adoptive placement of an Indian child, including the petition or complaint, all substantive orders, the complete record of the placement determination. That record must be made available within 14 days of a request by the child’s Tribe or the Secretary. 23.141. NEW TEETH FOR ICWA? YES!